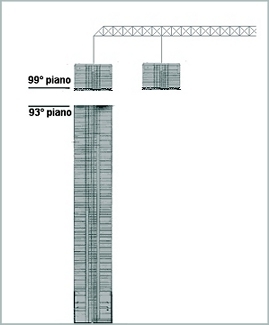 This is a study of the overall downward acceleration of WTC1, the North Tower of the World Trade Center. During this investigation it was discovered that the one feature that kept pace with the original acceleration of the roofline was the leading wave of ejections on the west wall. Question: If we cut both cables at the same time, which block will reach the ground first? Answer: According to NIST, both blocks would reach the ground substantially at the same time. The healthy floors below the falling block on the left, according to NIST, didn't offer any particular resistance nor did they slow down in any way its path towards the ground. In other words, NIST maintains that an event against the laws of physics took place, while being unable to explain how it could have happened. Jean-Marie Bigard: 6 Episode Bumper Bonanza ft. Bin Laden, Guantanamo & The Hijackers! Please vote, comment, distribute and add Jean-Marie's videos as favorites on Dailymotion. Not forgetting to also visit and support his YouTube account. Episode 5 of what has now become the must-see summer series. Jean-Marie Bigard goes back over the morning of Georges W. Bush, President of the United State and commander-in-chef of the armed forces, during his visit to Emma E. Booker Elementary School in Sarasota, Florida at the moment America was attacked on that fateful day, September 11th, 2001. Please vote, comment, distribute and add Jean-Marie's videos as favorites. Not forgetting to also visit and support his YouTube account. Last year forced David Chandler forced NIST to admit that there was a 2,25-2,28s long period of freefall during the collapse of WTC7. However NIST won't admit that these period of freefall occurred at the very start of the collapse (NIST did choose to pick up artificially early start time,but as far as we know there's no such a thing recorded in the collapse videos). What does this freefall period mean? It means that for the first 2,28sec of the global collapse there was no resistance from the crushed parts of the building. Let's look at this number closely. How many floors of the WTC7 didn't offer any resistance? The roofline of WTC1 (The North Tower) begins dropping with sudden onset and accelerates uniformly downward at about 64% of the acceleration of gravity (g) until it disappears into the dust. This means it is meeting resistance equal to about 36% of its weight. The implication of this, however, is that the force it is exerting on the lower section of the building is also only 36% of the weight of the falling section. This is much less than the force it would exert if it were at rest. The acceleration data thus prove that the falling top section of the building cannot be responsible for the destruction of the lower section of the building. WTC7: NIST Finally Admits Freefall (Part III) is now posted on YouTube. This concluding segment explores the implications of NIST's concession (to easily observed reality) that freefall occurred. This is not the "Part II" I had originally envisioned. That will have to wait for Part III. In following up on the erroneous measurement described by John Gross in Part I, I decided to look more carefully at the measurement and find the video frame NIST claims marks the beginning of the collapse. What I found is that there is no motion of the roofline for at least 20-30 video frames after the point identified by John Gross. In other words, the measurement is a complete fabrication with the goal of producing a "measurement" to agree with the result predicted by NIST's collapse model. This result is sufficiently significant to merit its own video. NIST has now officially accepted that WTC7 came down with the acceleration of gravity, but they still couch it as a phase in a 5.4 second interval they claim matches the 5.4 seconds required for their model to collapse 18 floors. The starting point of their 5.4 second interval is totally arbitrary. This new video highlights the August 26 technical briefing and allows Sunder and Gross to shoot holes in their own feet. Part II, which is planned to come out in a week or two, will go into detail about the implications of freefall. A list of bullet points has been compiled on that topic already, but if anyone has a special take on it that they would like to feed into the mix, please contact me at dchandler@ae911tuth.org. Contrary to the August 2008 NIST report on WTC7, the acceleration of Building 7 has been measured and is found to be indistinguishable from the acceleration of gravity over a period of about 2.5 seconds during the fall. Freefall indicates zero resistance. It also indicates that the energy of the falling mass is not available to do work on the lower structure (i.e. such things as breaking, bending, crushing, etc.) A video detailing the measurement process and commenting on the results is posted on the AE911Truth YouTube channel, accessible through http://www.ae911truth.org/freefall. The video responds to the recently released NIST WTC7 document.